At my house we try to eat A LOT of fruits and veggies. And it is usually the simplest of preparations that are the best. 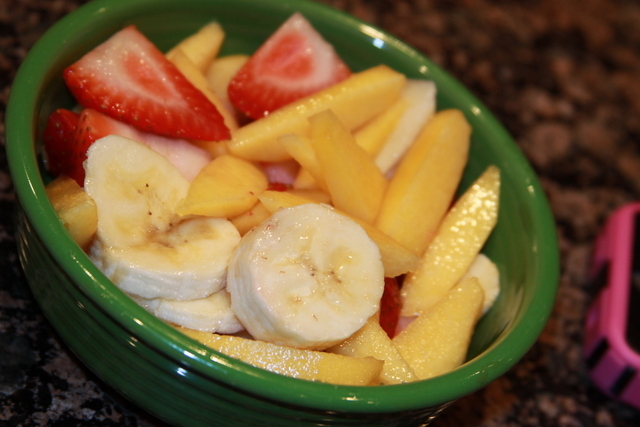 We have "fruit salad" about every day. 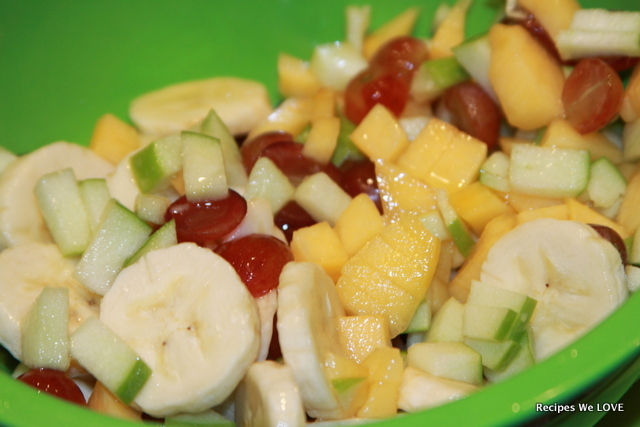 And you don't need a lot of fruit to make a fruit salad. I just make enough for our meal it takes all of 5 minutes to prep. I used what ever fruit I have on hand. 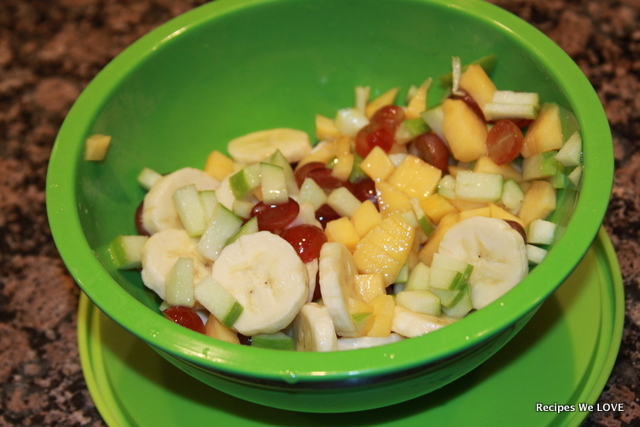 Above is banana, green apple, red grapes, and peaches. 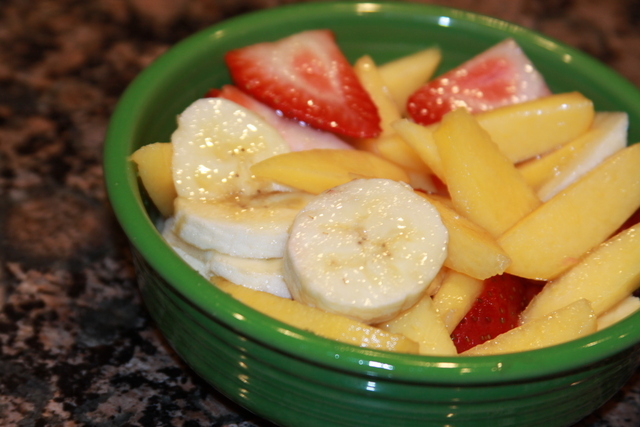 Below is banana, strawberry, and peaches. 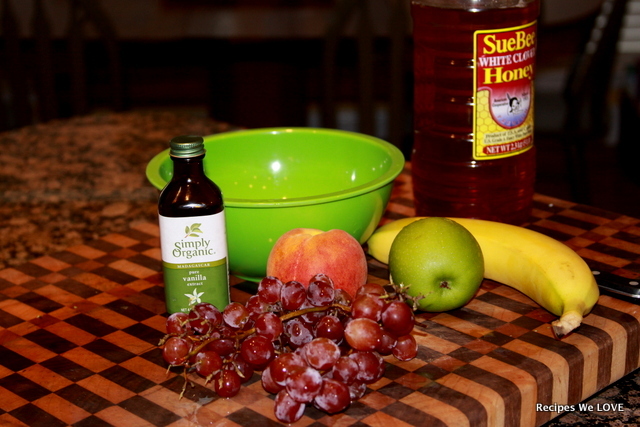 I Put the juice from half a lemon in a bowl with about 1 TBS of honey (for my family of three) a splash of vanilla. 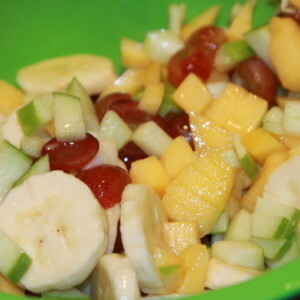 I mix that well then start cutting up what ever fruit I have on hand about 4 pieces works for us as a side dish. This one was actually for breakfast, with bacon, and eggs. 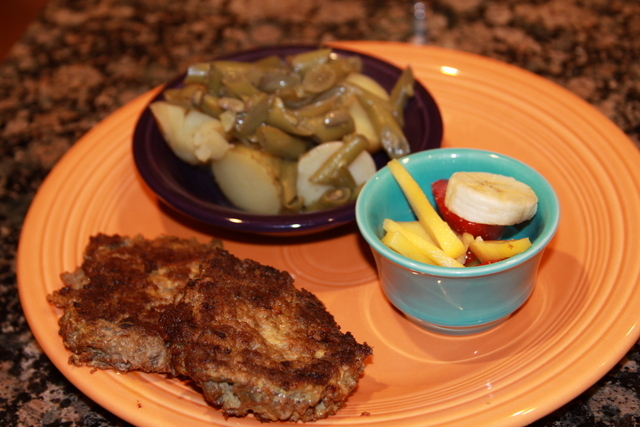 And this one was for grilled burgers and green beans for dinner a couple nights earlier. Simple, easy, and really good for you.